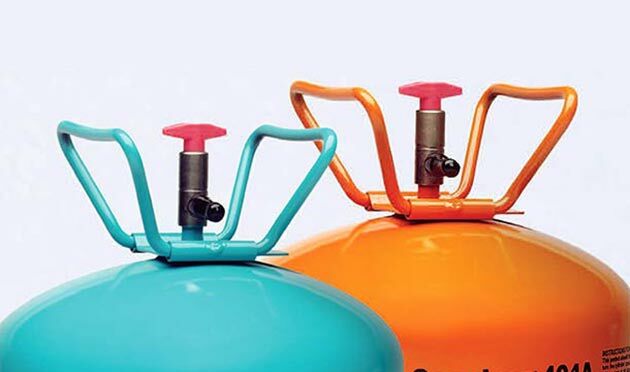 UK: The Environmental Investigation Agency (EIA) has called for a worldwide ban on disposable, non-refillable refrigerant cylinders. In a new report published on the eve of the 30th Montreal Protocol meeting in Ecuador, the EIA has called for a worldwide ban on non-refillable cylinders – the container of choice for refrigerant smugglers. The report – Tip of the Iceberg: Implications of Illegal CFC Production and Use – cites the illegal trade in HFCs in Europe, where they are, supposedly, banned, as well as continued ODS illegal trade worldwide. “The vast majority of known ODS smuggling cases are facilitated by the use of disposable cylinders (sometimes referred to a “non-refillable containers”), as their disposable nature means they can be freely traded,” the report states. In addition to the ban in the EU, which entered into force in 2007, these cylinders are also banned in Canada, India and Australia. “However, disposable refrigerant cylinders are still in wide use elsewhere in the world and the European market has recently been flooded with illegal HFCs in disposable cylinders,” says the EIA. Aside from the additional waste management issues that disposable cylinders create, the EIA points out that there is always a residual quantity of refrigerant, or “heel”, being emitted to the atmosphere as they must be cut or punctured before entering the waste stream. If the cylinders do not enter the formal waste stream the heel remains until the container degrades and is ultimately released. The EIA quotes the 2010 RTOC assessment that the vapour heel represents about 3% of refrigerant charge, and the liquid heel represents between 5 and 8%. Instances of the illegal trade in disposable cylinders in Europe has been widely reported by the Cooling Post in recent months. This heightened activity, which the European governments and customs authorities seem unable to stop, has been brought on by huge increases in HFC prices, and pressures on supply, as a result of the European F-gas phase down. There are genuine fears that unless lessons are learned from the European experience, the worldwide phase down, which kicks in next year under the Kigali Amendment, will create illegal activity on a massive scale.